I left Groove Networks to join the team at Oni in developing small superconducting MRI scanners for extremity imaging. 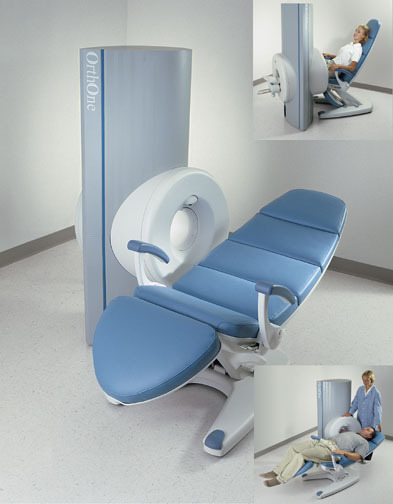 I’ve worked for almost ten years as Principal Software Engineer and Software Architect on the dedicated extremity MRI scanners that we developed at ONI and continued to develop after our acquisition by GE Medical. These are small cryogenic MRI scanners operating at 1.0T to 1.5T field strengths for high quality imaging. Very cool technology and very interesting work. The software runs on windows XP embedded configured as close to a stock XP Pro installation as possible. The code is implemented in C++ and divided into a user interface process running in the context of the interactive user and a windows service that handles the hardware interactions and most of the core image processing work. In the end, GE decided to exit the extremity MRI market and I moved on to Kiva Systems/Amazon Robotics.